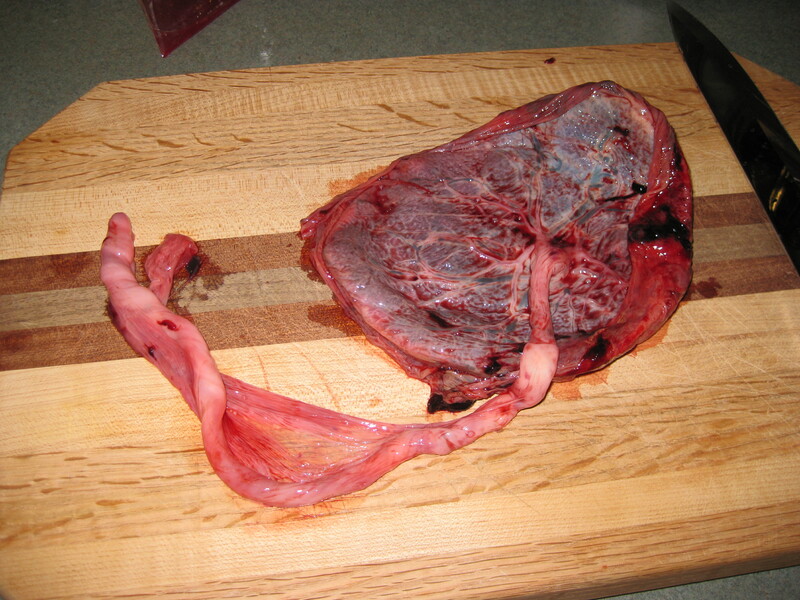 Placentophagy is the mammalian act of the mother consuming the placenta after birth. While there are no clinical trials in humans to prove or disprove the effectiveness of this practice, science shows benefits of placentophagy in other mammals. Mammalian placentas contain high levels of prostaglandin which help the uterus shrink back after birth. Anecdotes suggest that mothers have less bleeding post partum when they consume their placentas. The amount of oxytocin in the placenta is also said to aid in lactation. 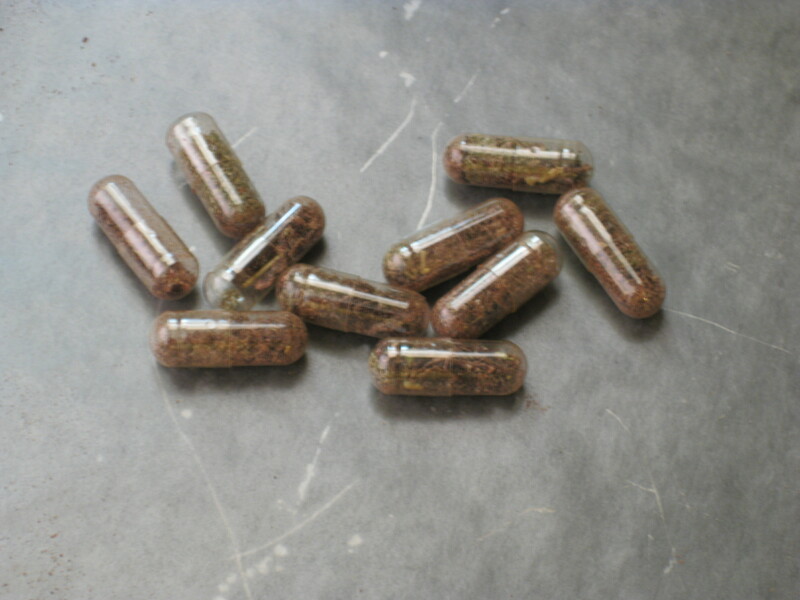 Some also believe placentophagy can stave off post partum depression. Placentophagy has become more controversial as reports of infant strep infection linked to placenta consumption have surfaced. There is also concern that progesterone from the placenta can negatively impact milk production. 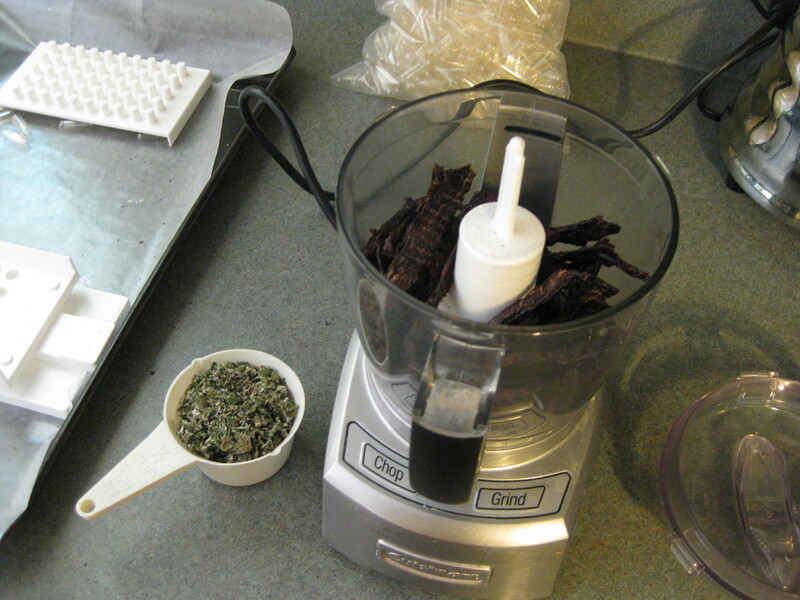 The following instructions and images are for a raw preparation of the placenta. 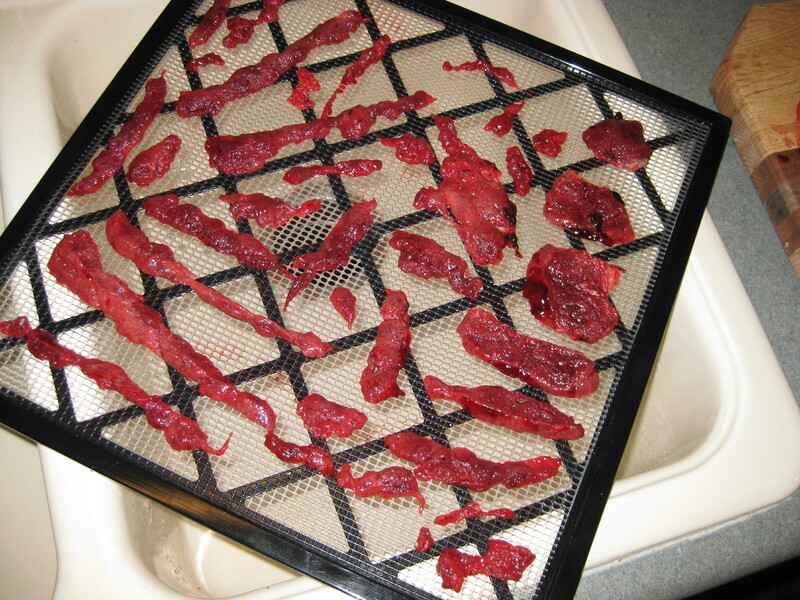 Dehydrate the placenta to get all the water out, but do not cook it. 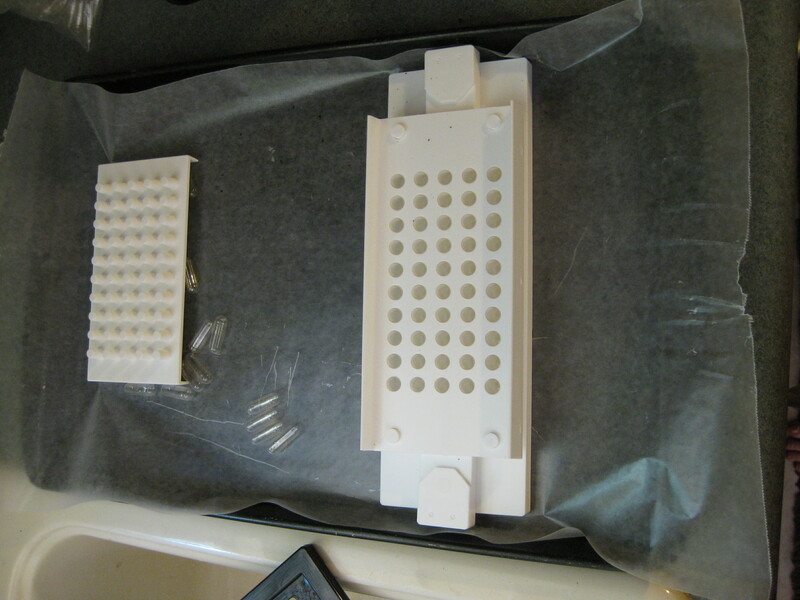 Dry it under 140 degree F to keep the enzymes and bio-active components intact. 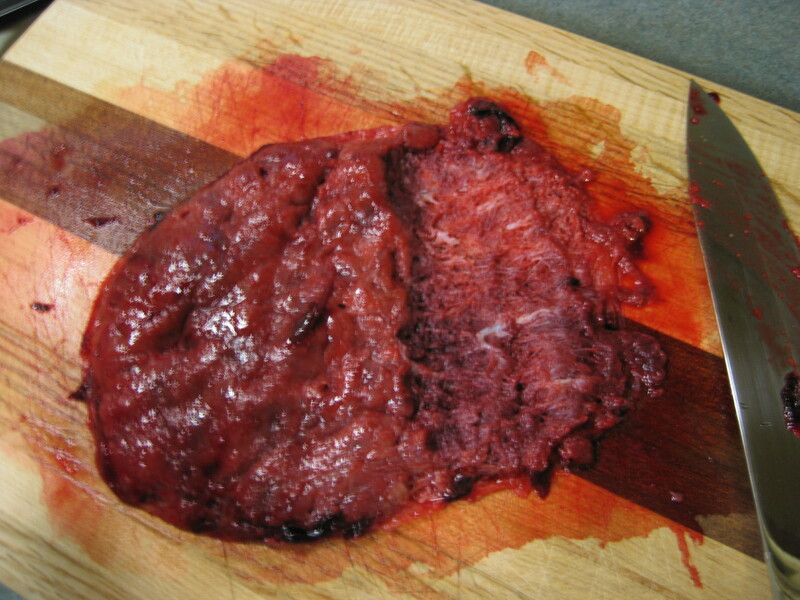 This placenta pictured here was eventually dried for 24 hours at 100 degrees F.
This is the placenta “shiny side” up. The membranes are the wrinkly layer around the edges. They gather up on each other. The cord and major vessels here will be cut away. Some save the cord and membranes for homeopathic tinctures or to plant with a tree in the child’s honor. The cord and membranes have been cut away. 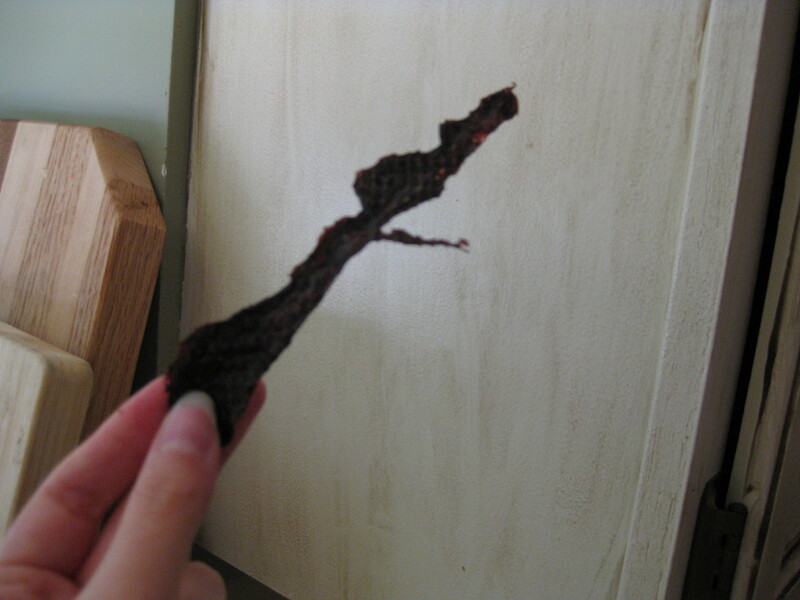 The placenta is still shiny side up. This is a 10 inch chef’s knife for size reference. 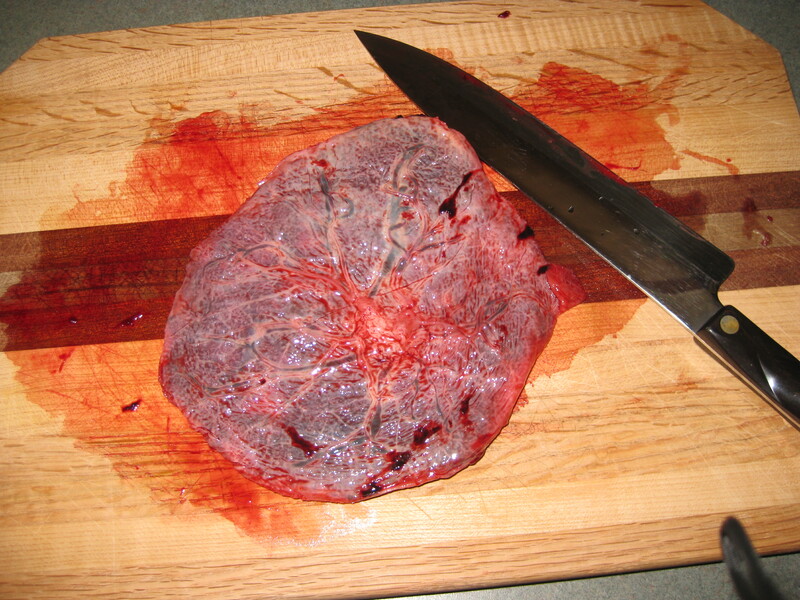 The child who grew with this placenta measured 6lbs 10oz and 18 inches, gestation 39 weeks and 3 days. This is the “dull side” or the side that was attached to the mother’s uterus. This is the “meat” that will be cut away. The dark red-purple spots are blood clots. Either rinse those away or dehydrate them. They will shrink down considerably. Half of the “meat” has been filleted off with the membrane left on the bottom. It is very “spider-webby” and spongy. It is possible to feel with the knife that the tissue is too tough to cut through very well. Note how thin and crisp the pieces are after dehydration. All the water is out. In the food processor bow is ALL of the dried placenta. 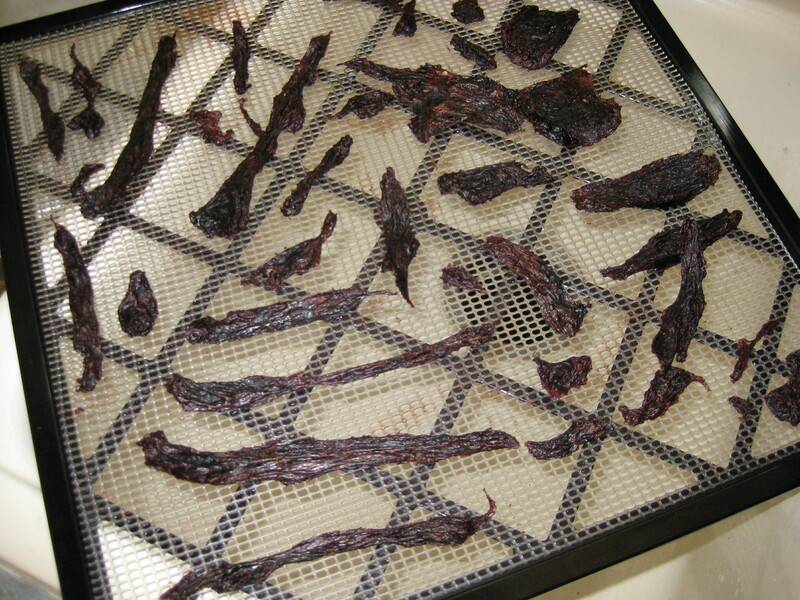 Note that not much is left after drying. Next to it is red raspberry leaf that this mother chose to add. The addition of optional herbs is completely up to the mother. These are the loaded pills before getting the top of the cap added. They fluffiness of the red raspberry leaf or other dried herb may prevent of uniform filling. This placenta with herbs yielded 150 caps total. Looking for a certified placenta encapsulator in the Atlanta Metro Area? Check out Melanie at Natural Afterbirth Placenta Services. She is a veteran breastfeeding mother and placenta preparer. 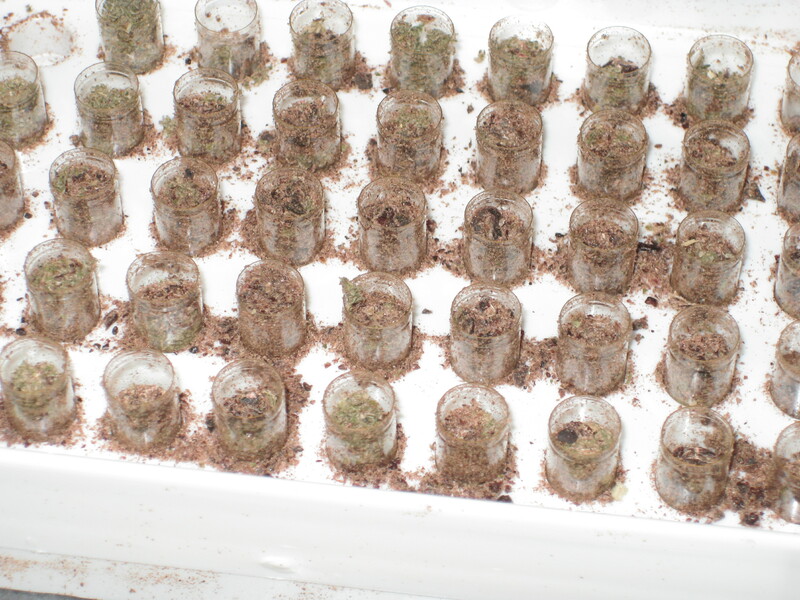 Her services include pick up and delivery, in hospital or in home raw smoothie preparation, keepsake placenta printing, placenta chocolate truffles, and both TCM and raw encapsulation methods. The information contained here is not intended to treat, diagnose, or prevent any illness. Pregnant and lactating women should always consult with their health care provider before taking any supplements. ← Do I Need a Lactation Consult? Now this is a pill I wouldn’t mind swallowing! 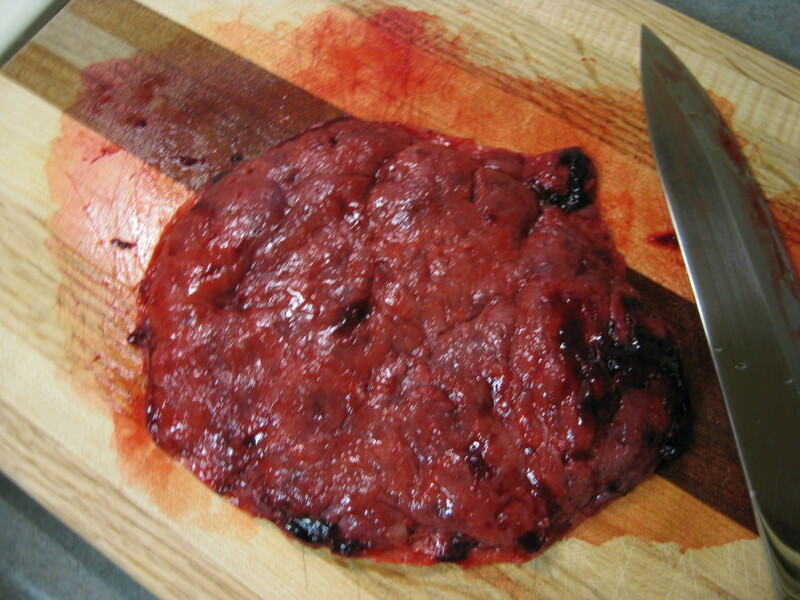 I’m not sure I would eat the placenta.. Looks like liver! I might skip it altogether if I get pregnant!! Wow!! To this day, my thoughts are wondering if the doctor or nurse even removed the placenta after my baby’s birth, being dopped doesen’t help ones rememberance!!.. The more you know.